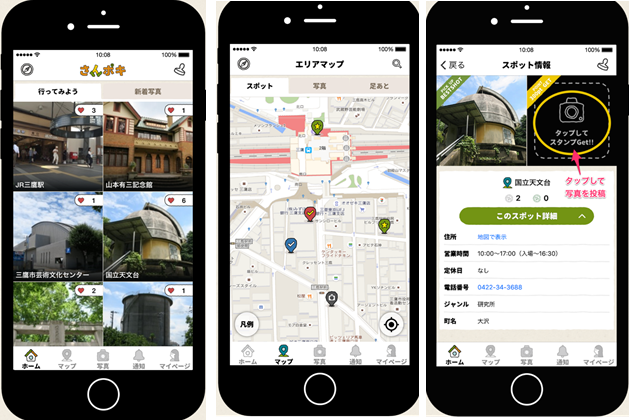 After the successful completion of the Mitaka “Paw Collection” trial, the feedbacks have been used to release the next version of the application, called Sanpoki, which has been launched in September 26th 2015 in collaboration with Stamp Rally Event “The Mitaka Solar System Walk” for the purpose of health improvement, local community activation and city attractiveness. The participants can play “stamp rally” game with the distributed BLE beacons in 179 places (stores or facilities participating Stamp Rally Event), the deployed terminals automatically detect the participants’ visit to those particular places. 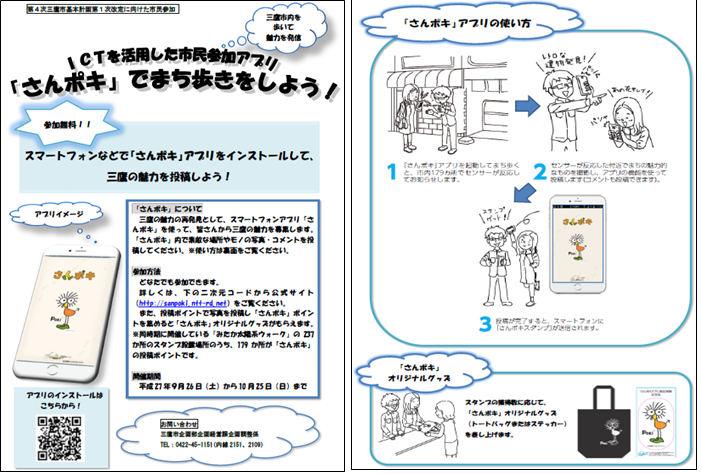 By the rules of the game, after visiting a place, participants are requested to take photo of attractive things nearest the place. As the result of this, many evidences of the attractiveness of the city can be collected and then used for updating Mitaka’s long term plan. 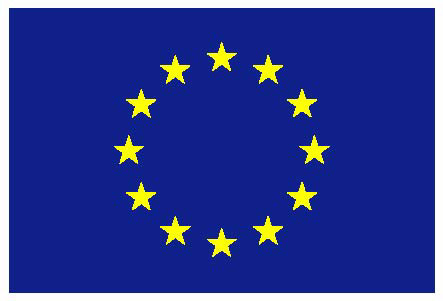 This trial will continue until November 26th 2015. Within 2 weeks, 400 users started to use the application and more than 6,000 pictures have been posted. 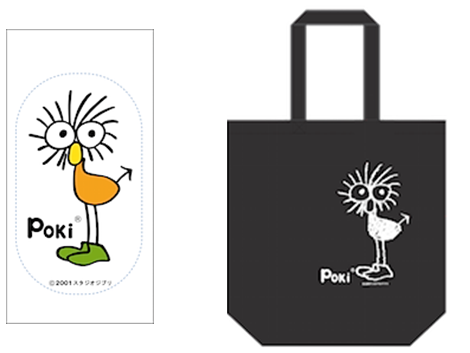 Two kinds of prizes could be awarded to Sanpoki users according the number of posts, original stickers (3 posts), original tote bag (100 posts).